Color These With Love :)! It’s all about hearts and love isn’t it? I’m a sucker for Valentine’s day so I enjoyed making these cute coloring pages and dot to dot’s (these are my first dot to dots so any feedback is more than welcome). Valentine’s Day was huge for me when I was a kid as my father never was a touchy feely kind of a man but on this day he always brought my mother an Orchid and a huge box of chocolate candy. Me and my sister were also given a chocolate from him on that day and it was really nice to see him in that light. 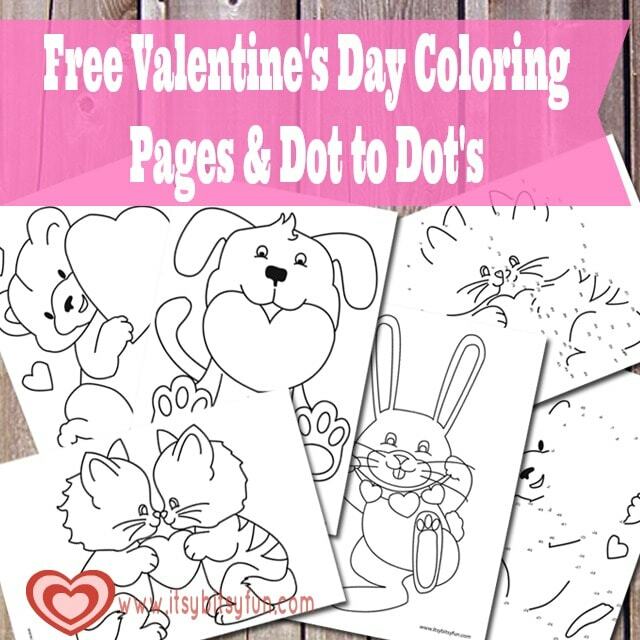 Download Valentine’s Day Coloring Pages & Dot to Dots. I’ve merged all files into one coloring book (PDF) as I think it’s easier this way as you can print them all in one go or just choose the ones you like the most. Ok let’s call this Book 1 as I’ll be adding more in the future. In this one you’ll find 4 pages to color and 2 to connect the dots – we’ve got a bear, two kittens, a puppy and a rabbit all holding hearts. Get your free printable Valentines Day Coloring Pages here.